It's feeling like fall around here with nighttime lows around 50. That means it's time to start getting some more of those crops in and set aside for the winter! Thanks for hosting! Burr, there is a chill in the air and soon it will be time to plant fall garlic. Thanks for hosting! I shared the post on garlic with my Facebook fans. I NEED to get that done:) Fall is here, my favorite time of year!! Have a happy homesteading week! 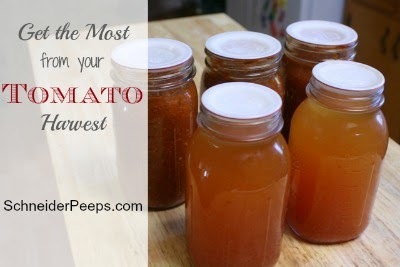 Thanks so much for featuring my tomato post. It was so fun to come share this week and see my photos! Thanks for hosting each week.